The beautiful open water bodies located throughout Cordoba Ranch are not natural lakes. They are engineered stormwater management ponds, regulated by the state of Florida, and owned, operated, and maintained by the Cordoba Ranch Community Development District (CDD). The ponds are designed to treat and store stormwater runoff from the streets, lots, and common areas within the community to protect downstream wetlands and waterways from pollution and flooding. Runoff from landscaped lawns and community streets is polluted with oils, heavy metals, herbicides, pesticides, and fertilizers. Treatment of these pollutants occurs by slowly releasing a portion of the runoff across a raised planted area in the pond, called a vegetated littoral shelf, through an open pipe, or orifice, downstream. 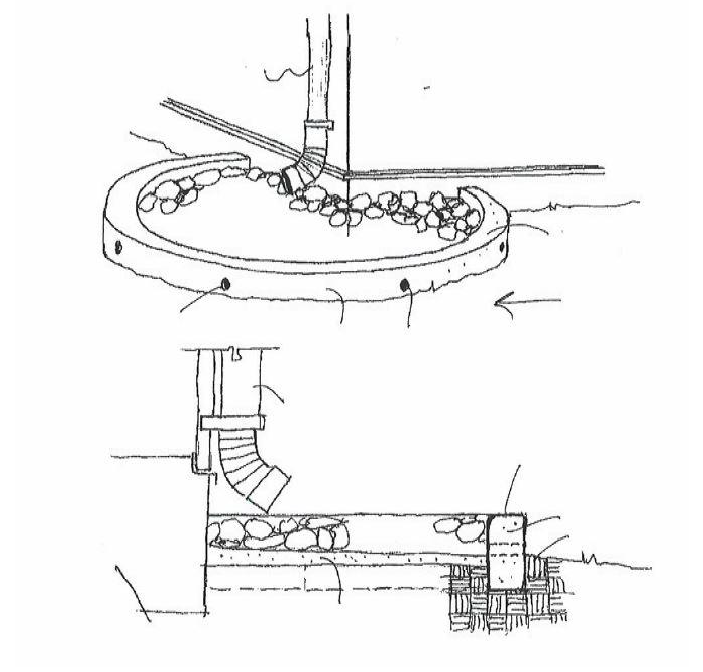 Additional runoff is stored in the ponds and released through a low dam, or weir, that controls the flow of water to prevent flooding downstream. The orifice and weir work together as the control structure portion of the stormwater ponds and need regular maintenance to provide proper flow and regulation of the water levels to prevent flooding within the community and downstream. The CDD inspects and maintains the facilities regularly in order to assure their proper operation. 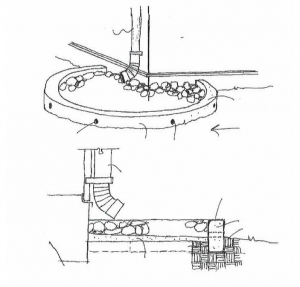 A raised bank, or berm, was constructed around each pond to allow access for proper operation and maintenance of the ponds and control structures. A berm may sometimes be contained within a drainage easement along the rear of homeowners’ property. These lands within the easements are owned and maintained by residents but must be accessible by the CDD. All pond berms and slopes, whether owned by residents or the CDD, need proper maintenance, including providing grass coverage to stabilize the ground to prevent erosion, as well as, compliance with rules and standards covering pool, roof, and/or water conditioner discharges into the ponds and/or storm sewer systems. The CDD has recently discovered that many CDD owned pond berms and slopes are also being mowed by residents’ lawn services, and it is important that this area only be maintained by the CDD. 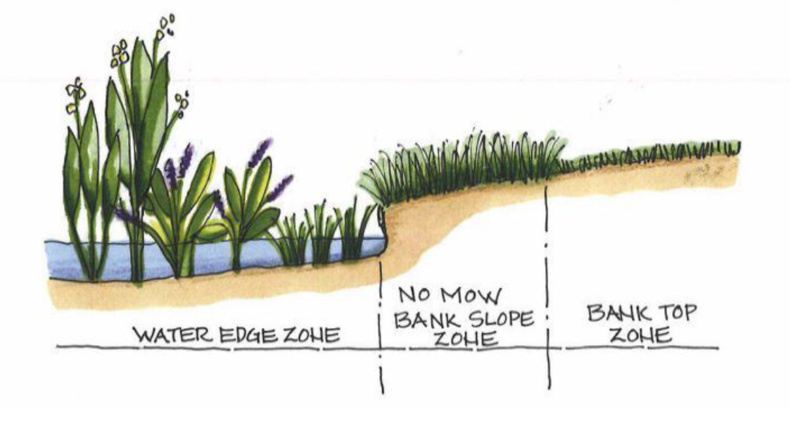 To reduce the erosion potential around the ponds, the CDD has created a new “no mow”/weed eat maintenance standard along the pond grass lines to help better stabilize this area by increasing the depth of the grass roots. As well, the CDD is starting an aquatic planting program within the stormwater ponds for water quality improvement and along pond perimeters for slope protection to minimize their erosion potential and the costs that residents would have to pay to repair eroded areas. While the ponds look appealing, please remember that they exist to treat and store polluted stormwater runoff. For residents’ safety, swimming and fishing is prohibited in all ponds. The slopes of the community’s stormwater ponds must be maintained with proper vegetation in order to control and prevent erosion, or loss of the soil. Erosion of the slopes can be extremely expensive to repair and can sometimes also add unwanted sediment to the water that can negatively affect the water quality in the pond. In addition, eroded banks make it difficult to access and maintain the ponds and unchecked erosion may cause damage to the properties of homeowners next to the affected pond. The Cordoba Ranch Community Development District (CDD) performs regular inspections of the ponds to assess their conditions and identify any areas that have eroded or show potential for erosion. These areas are then scheduled for appropriate maintenance.